85MPG! £0 ROAD TAX! CAR PLAY! As a manufacturer responsible for some of the most common vehicles seen on British roads, Vauxhall is known for delivering reliable vehicles at reasonable prices. 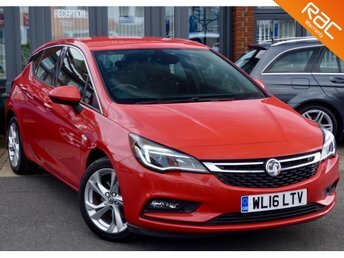 The Corsa makes an ideal first-time car, the Astra is a great family vehicle, and the Insignia can rival far more expensive models in the executive class. At Bournemouth Cars, we are proud to supply a varied range of used Vauxhall cars in Bournemouth. View our stock online and if you see anything you like you can reserve online or arrange a delivery from our showroom in Bournemouth to your home anywhere in the UK. Contact our friendly team for more information or come straight to our dealership to find great deals on used Vauxhall cars for sale in Bournemouth!